This is part of a series of posts about recent recipients of the RNS Medal. Pere Pau Ripollès is Professor Catedrático at the University of Valencia, Spain. He has worked for most of his career in the Department of Prehistory and Archaeology, rising up the ranks to the top level of professor. He himself is a prolific author, as his list of publications indicates. There are so many, beginning in 1977, that it is hard to know where to start or which ones to cite: his academia.edu site offers a mere 17 books and 66 papers! I shall mention only a small selection, grouped thematically. The first group is an excellent series of several catalogues of Iberian coins in important museum collections, such as those in Paris, in Stockholm, in the Royal Historical Academy in Madrid, the Vatican Library and several Italian collections: Monedas Hispánicas de la Bibliothèque nationale de France (Madrid, 2005) ; Sylloge Nummorum Graecorum. Sweden II. The Collection of the Royal Coin Cabinet. National Museum of Economy, Stockholm (Stockholm, 2003); Las acuñaciones provinciales romanas de Hispania (Madrid, 2010); ‘Corpus Nummorum Hispanorum. I. Medagliere Vaticano’ (Italica 6, 1982); and Le monete ispaniche nelle Collezioni Italiane (Bollettino di Numismatica, Serie Speciale, Roma, 1986). Secondly, he has authored or co-authored several mint studies of ancient Iberian cities: Valencia, Segobriga, Lauro, Saguntum and, most recently, Saitabi: La ceca de Valentia (València, 1988); Las monedas de la ciudad romana de Segobriga (Saelices, Cuenca) (Madrid-Barcelona, 1996, with J.M. Abascal); Les encunyacions ibèriques de Lauro (Granollers, 1998, with M.M. Llorens); Arse-Saguntum. Historia monetaria de la ciudad y su territorio (Sagunto, 2002, with M.M. Llorens); and Las acuñaciones de la ciudad ibérica de Saitabi (Valencia, 2007). Thirdly, he has published a series of studies of regional circulation, such as those about the areas of Valencia and Tarraco, and many, many coin hoards: La circulación monetaria en las Tierras Valencianas (Asociación Numismática Española, Barcelona, 1980); La circulación monetaria en la Tarraconense Mediterránea (Valencia, 1982); Hallazgo Numismático en la calle Libertad. Seu de les Corts Valencianes (Valencia, 1994, with M.M. Llorens and C. Matamoros); and El tesoro de la familia Ferrer de Plegamans (Valencia, 1997, with A. Martínez). He has also collaborated on the Roman Provincial Coinage project and was of the principal authors of Volume I (Roman Provincial Coinage, From the death of Caesar to the death of Vitellius (44 B.C.-A.D. 69) (London-París, 1992, and subsequent editions). Since then he also has taken on the broader role of responsibility for the publications of supplementary material to RPC, and three such supplements have already appeared. I first got involved together on the RPC project on the special train to York that was chartered for the excursion to York from the 1986 London International Numismatic Congress, and Pere Pau has been a hard-working colleague and a good friend ever since, not least introducing me to Spanish gastronomic delights, such as horchata and churros. Sometimes his interests have taken him in what may seems to us to be surprising directions such as his studies of the contributions coins can make to our understanding of the ancient fauna and flora of Spain. But, more generally, he has raised the level of numismatics in Spain to a truly international level, from the somewhat mundane state it was in when he began his career, for example by introducing the new methods of die studies, statistics and metal analysis. He has been a regular traveller to other countries, such as France and the UK, and this has led to many fruitful exchanges of ideas and collabortaive initiatives. He has had several distinguished students, such as Maria del Mar Llorens and Manuel Gozalbes, and he himself has been deservedly honoured elsewhere. He has been visiting scholar at the American Numismatic Society. He is a member of the Real Academia de la Historia. and he was awarded the jeton de vermeil of the Société Française de Numismatique in 1998. He is a member of the International Numismatic Commission, currently its Vice-President. He has done his bit. So I am delighted that we are honouring him today with the award of the silver medal of the Royal Numismatic Society. Thank you, Dr. Burnett, for your kind and generous introduction. I want to thank the Royal Numismatic Society for this very great honour. I never thought I would achieve such an honour when eandre Villaronga showed me the RNS medal, when he was awarded it in 1989. At that time, I had a pleasant feeling when I handled it, not just because the medal was impressive in itself, in its design and weight, but also because he shared with me his pride and joy of having been awarded it. In accepting this recognition with which you have honoured me, I would like to acknowledge the debt I owe to many people, some of whom are present here today, because a large part of my research has been conducted in the United Kingdom or with British colleagues. When I was notified of this medal, I thought about my experiences in the United Kingdom and I realized how enriching and valuable they have been. Honestly, I always have received great opportunities from this country. My first contact with British colleagues was in 1986. After the International Numismatic Congress held in London that year, I remained a few days working in the British Museum. The visit was very fruitful in another way, since it was the occasion on which I was invited, by Andrew Burnett and Michel Amandry to work in the Roman Provincial Coinage project. Since then, I have had the privilege of working in all the leading British institutions. All my stays have been wonderful, but the months spent at the Ashmolean Museum and the British Museum especially have given me many valuable perspectives on numismatics and numismatic research. In addition, I don’t want to forget the University of Valencia, since it has been my great fortune to be teaching in it for many years, and it is there that I have developed my entire academic curriculum. Needless to say, I have had and continue to have a lot of support from my wife María José, who has always been at my side. I am certainly fortunate to have been selected for this honour from among many deserving scholars and colleagues. So, once again, I thank the Royal Numismatic Society for bestowing this honour on me. This is part of an on-going series of summer posts about recent recipients of the RNS Medal. 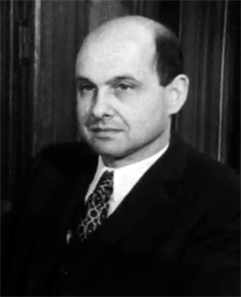 Bernd Kluge, image used from Wikipedia. Today it is my great pleasure to present the RNS medal to Professor Dr Bernd Kluge, for many years the Keeper of the Berlin State Coin Cabinet and himself an outstanding scholar of medieval numismatics. Kluge’s career began with the arrival of the young Bernd as the newest member of the Berlin Coin Cabinet in 1972, the institution to which he was to devote no less than 42 years until his retirement in September of last year. In 1988 he became its deputy director, and then its Director a few years later, a position he held until his retirement. The mere dates obscure the momentous history of Germany and Berlin during those long, difficult, years. In those days, as now, the Berlin coin cabinet was located on the Tiber Island, but then it was only a stone’s throw from the Berlin Wall and in easy sight of the Vopos, the border guards at Friedrichstrasse who would happily have opened fire and often did so, as you all know. The cabinet was an isolated institution acquiring virtually nothing and doing its best just to keep open and re-build its library (never returned by the Russians). So academic links had a political value to all of us in the numismatic community, far beyond their intellectual significance. I remember visiting for some weeks in the early 80s, when the warmth of the greeting from colleagues at the Cabinet stood in sharp contrast to the interview in a metal box that I had endured the day before, on my arrival at the airport; in those days even the letters my little children sent me were opened by the censor and their little pictures carefully examined and stamped. And I was only visiting. The experience of living there the whole time was something else. The Wall came down and things got better, but in the euphoria of unification and its aftermath, it was Bernd Kluge’s job to re-establish the Berlin collection as a major international cabinet. This job had its physical and intellectual aspects. After decades of neglect, the museums were falling to pieces and a massive building programme between 1998 and 2006 saw the rebuilding of the coin cabinet. But the world had changed: the financial and collecting climate remained difficult, the internet had been invented and there was increasing need for sponsorship. Once the rebuilding was completed, the cabinet began to construct a web site which now has tens of thousands of objects on line. There is a now permanent exhibition occupying several rooms on the top floor of the museum. All of this has been achieved with limited resources, a total staff of only 4 curators for one of the world’s greatest collections, and a total less than 10 persons in all. Professor Kluge had already begun the publication of a new journal Berliner Numismatischer Forschungen in 1987 and this turned into major series of monographs which has now reached no. 11. This is now complemented by an additional series Das Kabinett devoted to publishing the Museum’s material. Colloquia were organised and the Cabinet made its first major acquisition since the 1930s, with the Friedrich Stefan collection. The decision to hold the International Numismatic Congress in Berlin in 1997, an event in which I was privileged to participate, was a wonderful recognition of what had changed and what was being achieved: but it was of course more work (not least the editing of the 1488pp of the Proceedings)! SCBI 39 State Museum Berlin, Anglo-Saxon, Anglo Norman and Hiberno-Norse Coins (Oxford, 1987). Deutsche Münzgeschichte von der späten Karolingerzeit bis zum Ende der Salier (ca. 900 bis 1125) (Sigmaringen, 1991). Am Beginn des Mittelalters. Die Münzen des karolingischen Reiches 751–814. Pippin, Karlmann, Karl der Große (Das Kabinett 15), (Berlin, 2014). ‘A full discussion by Bernd Kluge of all the coins of Pippin and Charlemagne in the Berlin collection, probably the best in the world, with full colour illustrations and discussion of types, mints, etc. Fantastic!’ (Simon Coupland). For achievements such as these Bernd Kluge was appointed an Honorary Professor of Medieval Numismatics at the Humboldt University in Berlin, and a few years ago he was awarded the Archer M. Huntington Medal of the American Numismatic Society. It is only right that we, the Royal Numismatic Society, should now honour him for all that he has done for our subject, and I so I am happy now to present the medal for 2015 to him. When Andrew Burnett so kindly wrote to me in the early part of this year that I was to be presented with the medal of the Royal Numismatic Society, I was quite surprised. I value traditions highly and consider today’s distinction by the oldest – and perhaps most famous -Numismatic Association in the world to be a great honor. I am myself a member of the Numismatic Society of Berlin which, while founded in 1848 and thus 12 years later than the RNS, is nonetheless the third oldest in Europe and the oldest in Germany. Thus if you think that I am not undeserving of this award, I can assure you that, in me, you have found an honoree who regards the RNS and its traditions very highly. Each time I stand in the library of the Coin Cabinet before the long row of the Numismatic Chronicle volumes and leaf through these impressive volumes (which also look quite impressive just from the outside), I am filled with veneration for this truly unique journal and the society which supports it. As of today, I am bound to it even more strongly, and for this I offer my heartfelt thanks. This is part of a series of posts commemorating recent awardees of the RNS Medal. Roger Bland, image linked from the Portable Antiquities Scheme. Roger Bland is President of the British Numismatic Society and Vice President of the Royal Numismatic Society. He has also done more than his ‘share’ of supporting the RNS: two stints on the Council, the joint Librarian (1987-90) and Secretary and Special Publications Editor (1990-95). Roger is currently Keeper of Department of Britain, Europe & Prehistory at the British Museum. He was previously Keeper of Portable Antiquities and Treasure, but his career began as a curator in the Department of Coins and Medals at the British Museum (1979-2005), but, as we shall see, his coin work began long before that. He is also now an Honorary Lecturer at the Institute of Archaeology, University of London, and a Fellow of the McDonald Institute for Archaeological Research, University of Cambridge. He is also an editor of the Roman Imperial Coinage series, and has been editor for the series Coin Hoards from Roman Britain. 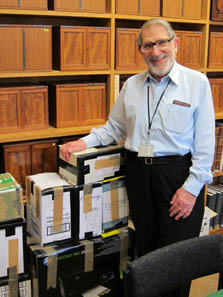 Roger has made a fundamental long-term contribution to the recording system for archaeological and numismatic finds across the country. During a period of secondment at the Department for Culture, Media and Sport, he was responsible for drawing up the provisions of Treasure Act 1996 and in general for cultural property policy. During the time he inaugurated the first steps and the rapid expansion of the Portable Antiquities Scheme, which has revolutionized the collection and use of numismatic and other archaeological data in England and Wales. Neither it nor the Treasure Act had an easy birth, and that they exist today is the result of Roger’s legendary powers of persistence and persuasion. He started the collection of data across the country, working with over 30 partners, and against a background of much initial suspicion from both the archaeological and metal detecting lobbies. Between them (the Treasure Act and the PAS system), these new provisions have transformed the situation here, and have provided a model for the rest of the world. Far more hoards are now declared Treasure than ever before and many of them find their way into museums, predominantly outside London, for future posterity. Since its inception PAS has recorded information about over 1 million objects, an incredible achievement and a source of knowledge which would otherwise simply have been lost. But the scheme has not just recovered information about finds; it has also stimulated a enormous number of research projects: over 400 in all, including 13 major AHRC, etc., projects and 86 PhDs. Roger himself has lead many of these (as PI or supervisor). To support it all he has raised money for Collaborative Doctoral Awards and Research Projects (to a total, when I last counted, of £4.8m). In respect of this work for the public good he was awarded an OBE in the Queen’s Birthday Honours in 2008, for services to heritage. In terms of his own numismatic work, Roger has been described as ‘one of the finest and most prolific numismatic scholars of his generation.’ His online CV lists 36 (!) monographs and 217 articles or other works. He started young (he needed to! ), his first article being published when he was only 19. His particular area of expertise is the coinage of Roman Britain and the western provinces, but he has worked intensively on the East as well. He has researched and published widely on coin finds and the Roman coinage of the third century AD and later. His most substantial recent book is a Corpus of Roman and Early Byzantine Gold Coins found in Britain and Ireland (2010, with X. Loriot). Other highlights include The Cunetio Treasure (with E.M. Besly, 1983) and The Normanby Hoard (with A. Burnett, 1988), which both marked major advances in our knowledge of, and a revised classification for, the coinage of the third century AD and of the Gallic Empire in particular. Roger’s main future project is to produce a new edition of the standard Roman Imperial Coinage IViii (Gordian III – Uranius Antoninus, AD 238-254). The grounds for this work were laid long ago in his PhD (The Coinage of Gordian III from the mints of Antioch and Caesarea); he does eastern Rome as well as western, an unusual combination which can make a crucial contribution to our understanding of the Roman monetary system as a whole. There is a desperate lack of die studies of coinage in the third century AD, which are key to quantification and thus to our understanding of the economic aspects of the third-century ‘crisis’. Roger’s thesis made available data and analyses of general importance for economic history as well as for Roman numismatics. The focus of the work on the East is important, as the vast majority of recent work on Roman imperial coinage had been on the West. Roger’s achievements are without parallel and there is much more to come. He has always been a good colleague, to many of us, not just those in the British Museum, and is much loved throughout the world. It is no surprise that in 2012 he was awarded the Jeton de Vermeil of the Société Française de Numismatique, and in 2011 the Prix Allier de Hauteroche of the Académie des Inscriptions et Belles-Lettres. Most recently he was appointed a Visiting Professor at the University of Leicester. I can think of no one to whom it would give me greater pleasure to award the RNS silver medal than Roger Bland. Over the course of the next few weeks the RNS blog will revisit some of the more recent awardees of the RNS medal. Traditionally, the President’s address on the subject of the Medallist, and the Medallist’s response if they were not present to accept in person, were published in the Numismatic Chronicle. This record of the achievements of senior colleagues in the field is now migrating to the web, and these posts are also linked to the list of Medallists under ‘Society Honours and Awards‘. The Royal Numismatic Society’s Medal was instituted in 1883, and is awarded annually to ‘some person highly distinguished for services to Numismatic Science’. The current design for the medal was first presented in 1993, and is made from a design commissioned from Ian Rank-Broadley, the artist responsible, among many other things, for the Queen’s portrait on our coins today. It depicts Hercules struggling with the Nemean lion, a metaphor of the recipient’s long and arduous – but ultimately successful – struggle and achievement. This year it is a great pleasure to award it to Michael Alram. Michael Alram was appointed as Curator for Byzantine, Medieval and Oriental Coins at the Kunsthistorisches Museum in Vienna in 1986, and in 2008 became the Director of the Coin Cabinet. In that time he has made a significant contribution to scholarship, both with personal research and through teaching, collaboration, and public engagement. His principal interest is Iran and Central Asia; he has contributed articles on the Hunnic coinages of the fourth to eighth centuries, and is presently leading efforts to catalogue pre-Islamic Iranian coinages through the Sylloge Nummorum Sasanidarum (with Rika Gyselen) – for which he was awarded our own Gilljam Prize – , and Sylloge Nummorum Parthicorum (with Vesta Sarkhosh Curtis). A complete list of his work on this field is extremely lengthy. He has actively encouraged new engagement with the neglected periods of Central Asia through the Coins, Art and Chronology International Conferences, both resulting in major edited volumes (in 1999 and 2011). He has established contacts with numismatists both in Pakistan and Afghanistan, and he has been involved in training Afghan numismatists in Kabul and Vienna. He enjoys a cordial relationship with colleagues at the National Museum of Iran. His contribution is not limited to Central Asia and Iran. Dr Alram has also published major works on fields: an admirable incursion into Roman coinage (such as Die Münzprägung des Kaisers Maximinus I. Thrax (235/238) in 1989) and a number of studies on medieval coinage, especially that of Austria. He has been actively involved in teaching, mostly in Vienna, and also at the American Numismatic Society, where he was Visiting Scholar in 1997, and the Institute of Advanced Studies in New Delhi. Alongside teaching there has been a strong engagement with the numismatic community, as Vice-President of ICOMON (1998-2004), Vice-Chair and then Chair of the Numismatic Commission of the Austrian Academy of Sciences. He recently became Vice-President of the Austrian Academy of Sciences, and is Secretary of the International Numismatic Commission, as well as a Senior Fellow of the prestigious ISAW in New York. He has also shown a strong commitment to what would be called ‘impact’ nowadays in Britain, by organising many exhibitions including “Weihrauch und Seide – Alte Kulturen an der Seidenstrasse” (1996), “7000 Jahre Persische Kunst – Meisterwerke aus dem Iranischen Nationalmuseum Teheran” (2000), “Geld aus China” (2003), and, currently – a brave attempt to rehabilitate the reputation of the Huns – “Das Antlitz des Fremden (2012)” (The Face of a Stranger). Michael: you are no stranger, but among your friends, all of whom are delighted to congratulate on this award of the Society’s medal. für die hohe Auszeichnung, die mir heute zuteil geworden ist, darf ich mich sehr herzlich bedanken! In den illustren Kreis der Medallists der Royal Numismatic Society aufgenommen worden zu sein, ist für jeden Numismatiker eine ganz besondere Ehre, und ich habe mich außerordentlich darüber gefreut! Meine ersten Kontakte mit britischen Kollegen gehen in das Jahr 1980 zurück, als mich mein Lehrer, Robert Göbl, ans British Museum schickte, um einige Kushanmünzen für sein Corpuswerk zu fotografieren. Als kleiner Student erstmals das berühmte Department of Coins and Medals betreten zu dürfen, war für mich natürlich sehr aufregend, doch der überaus freundliche Empfang durch Robert Carson, der mich mit einer Tasse Tee beruhigte, nahm mir rasch die erste Scheu. Weitergereicht wurde ich an einen jungen Kollegen, Joe Cribb, der mich mit den gewünschten Münzen versorgte. Wir kamen dabei rasch ins Gespräch, und Joe zeigte mir einen Fund aus dem nordwestindischen Raum, in dem er Münzen eines bisher unbekannten indo-parthischen Königs namens Hybouzanes entdeckt hatte. Sprachlos zeigte ich ihm daraufhin meine jüngste Entdeckung: auch ich war nämlich auf den Namen des Hybouzanes gestoßen, jedoch auf ostiransichen Drachmen aus Sistan. Das war meine erste „große“ numismatische Entdeckung, und Joe hatte mir dazu eine glänzende Bestätigung geliefert. Dieses Erlebnis stand gleichsam am Beginn meiner wissenschaftlichen Karriere, die ohne die immer enger werdenden Verbindungen zu meinen britischen Kollegen und Freunden wohl anders verlaufen wäre. Sie alle haben somit auch Anteil an dieser Auszeichnung, für die ich noch einmal aufrichtig zu danken habe! It is the sad duty of the Society President each year to report on losses from our Society. This year we have lost, sadly, many prominent figures. In particular, four of our previous medallists have died, whom I would like to commemorate in the order of the year in which they were awarded the medal. This text is edited and excerpted from that given at the RNS AGM on 19th June 2018. A full text of the report as given to the AGM can be found here. Ted Buttrey in the Fitzwilliam Museum, image linked from Coins Weekly. Ted Buttrey (1929-2018) was RNS Medallist as long ago as 1983, and served as the Society’s President from 1989 to 1993. He will be best remembered for his work on Roman Republican coins, the Roman Imperial Coinage of the Flavian period (2007) and his controversial views on modern attempts to reconstruct the size of ancient coinages. He also worked on modern coinages, publishing the guide book to Mexican coins, and, never shy of controversy, engaging in a long dispute over the authenticity of modern US gold bars. He has also been rsponsible for building up the rich collection of sales catalogues, housed in the Fitzwilliam Museum. Lord Stewartby (left) with Sir Kenneth Calman and Lady Stewartby, donating his collection of over 600 Scottish coins to the Hunterian Museum. Image linked from the Hunterian Museum website. Ian (Lord) Stewartby (1935-2018) was not only a Member of Parliament and a Minister of the Crown, especially so in those difficult years in Northern Ireland, but was a very distinguished student of the coinage of the British Isles, especially of Scotland. He was awarded the Medal in 1996, and he was also awarded the Society’s Parkes Weber prize as long ago as 1956. He donated his substantial collection of Scottish coins to the Hunterian Museum, University of Glasgow. Jean-Baptiste Giard, image linked from Coins Weekly. Peter Spufford, pictured in Cambridge. Peter Spufford (1934-2017) was the most distinguished medieval monetary historian of our times, his work ranging far beyond the coins themselves, and including many seminal books on the topic, not least, Power and Profit: The Merchant in Medieval Europe (2002), since translated into a number of European languages, the book which triggered his award of the medal in 2005. We were pleased to publish only last year, and not so long before his death, a collection of essays to celebrate the 30-year anniversary of his ground-breaking Money and its Use in Medieval Europe (1988).